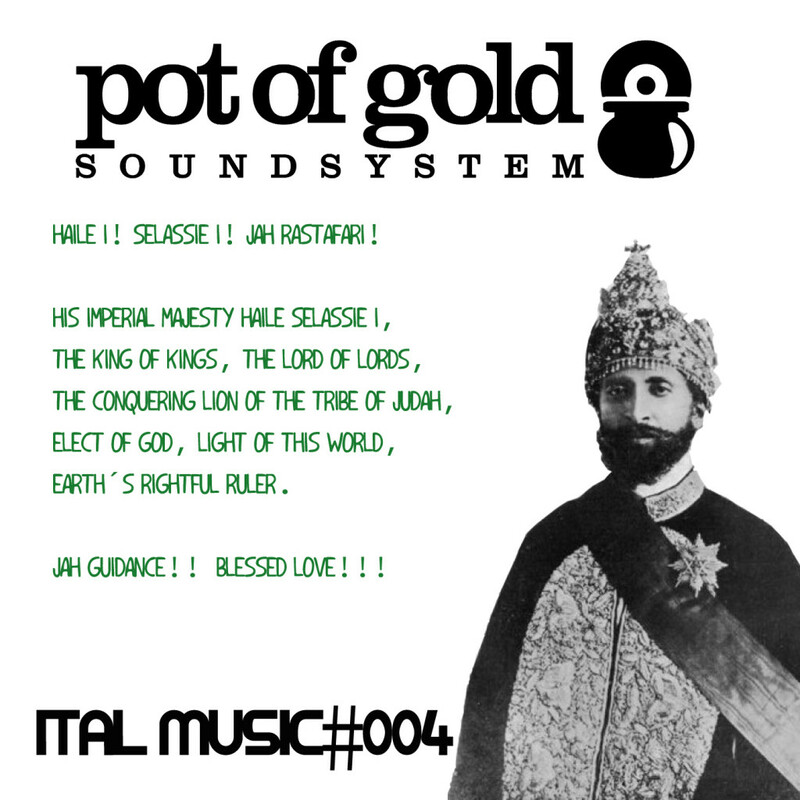 For this tenth mix of Ital Music, you have a selection from nowadays elegant rocksteady to the most moved jungle. 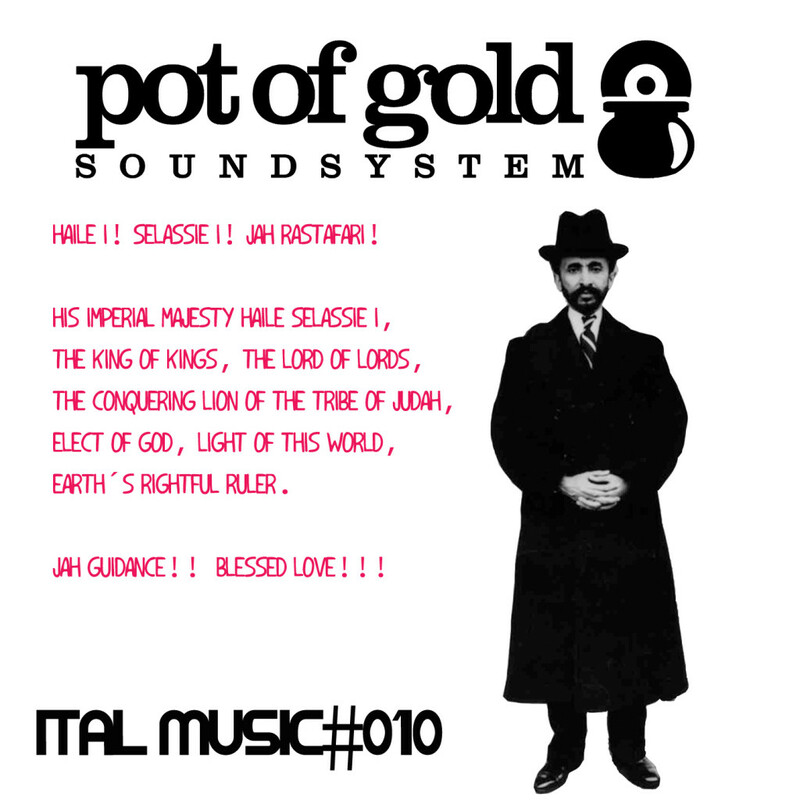 Finish this 2016 with Ital Music. 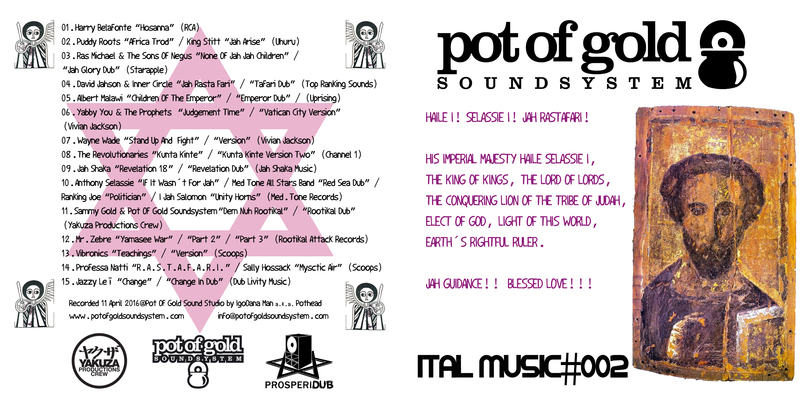 New release of Ital Music!!!! 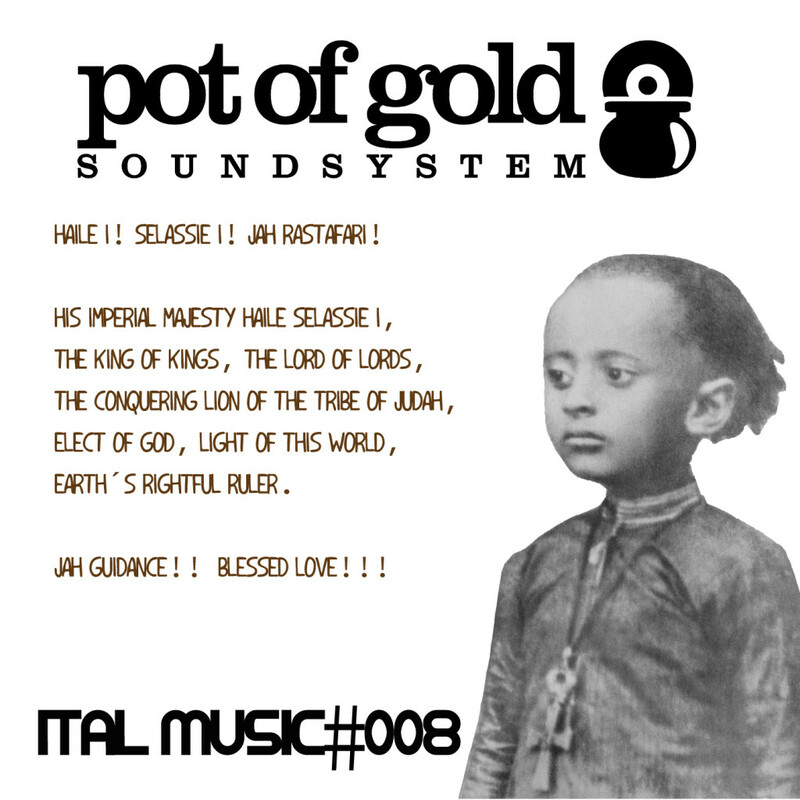 As usual 15 productions selected, but this time making a journey from early reggae to jungle. .
7th part of Ital Music series, 15 great productions that move us from Bob Marley´s classic roots to modern stepper dub . 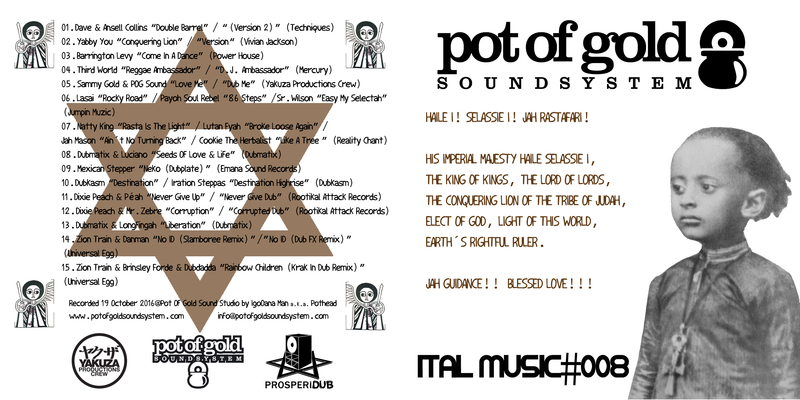 6th chapter of Ital Music, in this time the 15 productions selected come from digital to jungle. 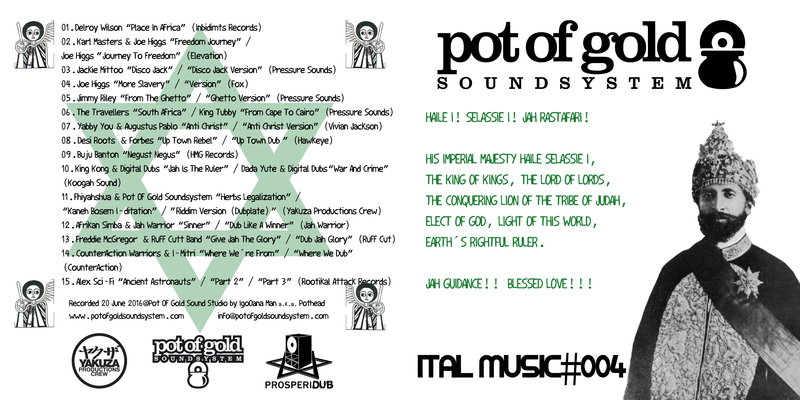 Ital Music! 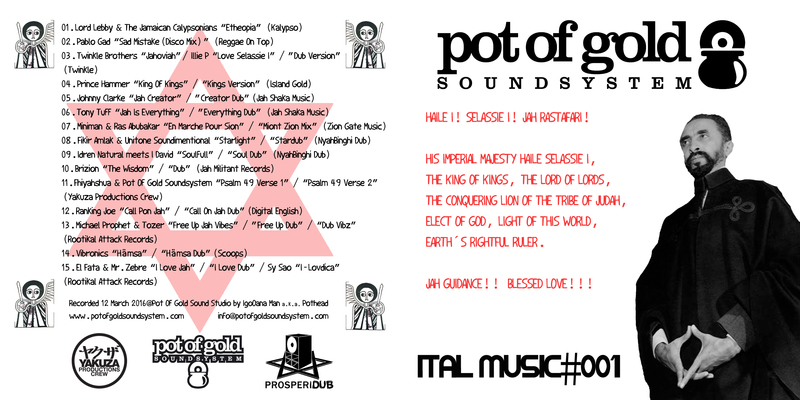 Rasta Music 100%!!! 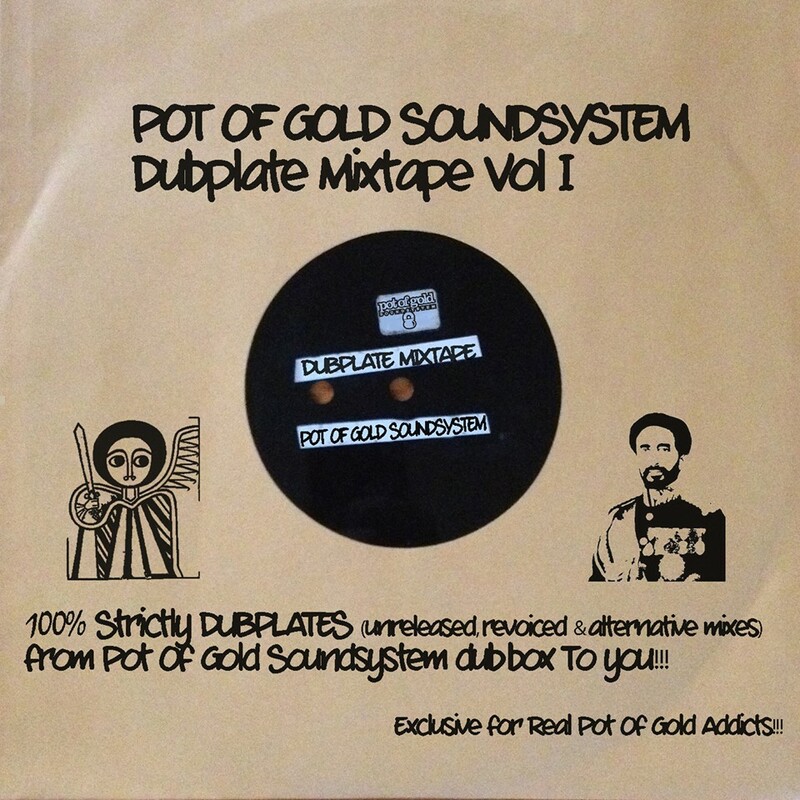 100% strictly Dubplates: unreleased, revoiced & alternative mixes from Pot Of Gold Soundsystem collection. 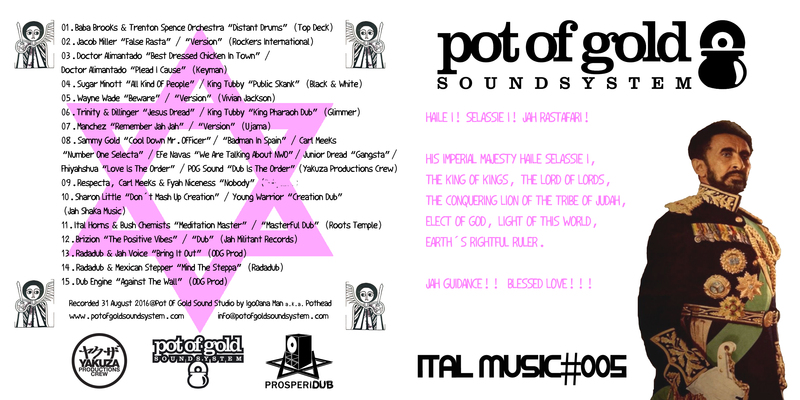 Not available to listen or download at internet!! Search it in our dances!!! 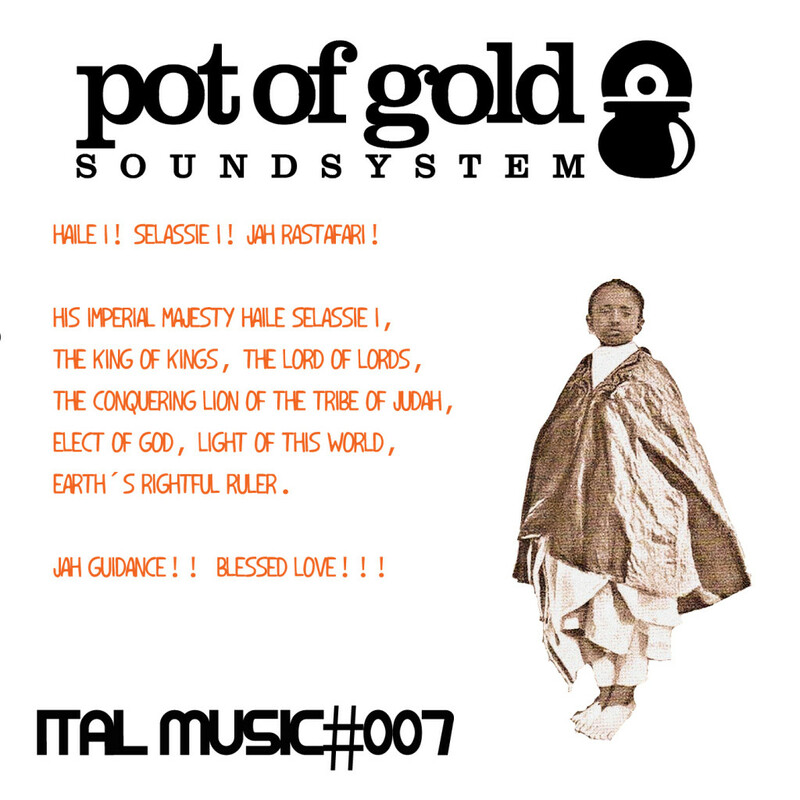 100% estrictamente Dubplates: inéditos, revoceados & mezclas alternativas de la colección de Pot Of Gold Soundsystem. No está disponible para escuchar o descargar en internet!!! Búscala en nuestros bailes!!! 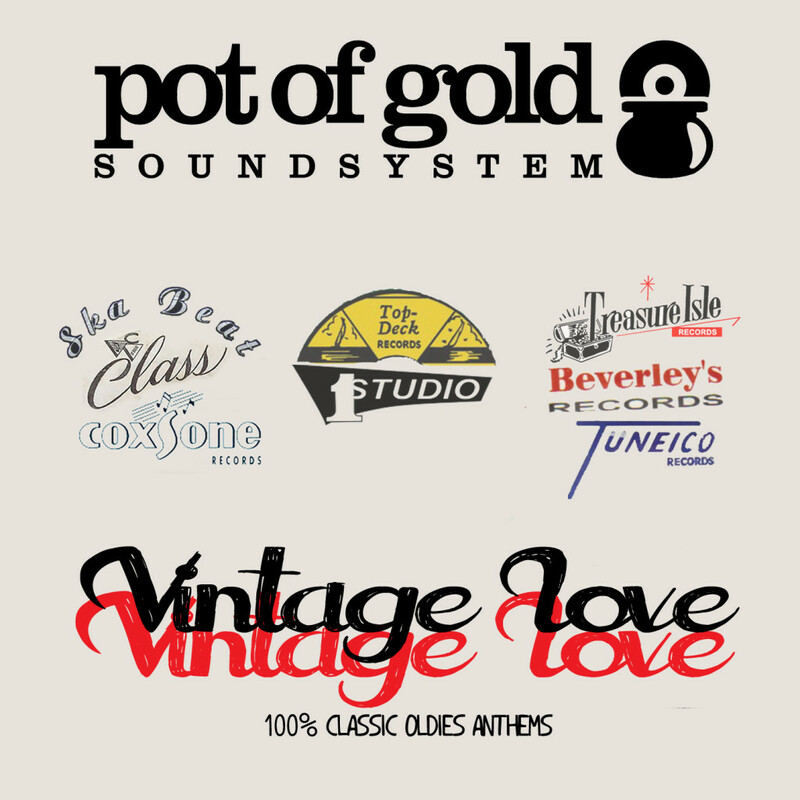 Selection of little bit more than 1 hour in wich we enjoy classic tunes of musical genres that use to be recorded in JA before Ska rules. Great anthems!! 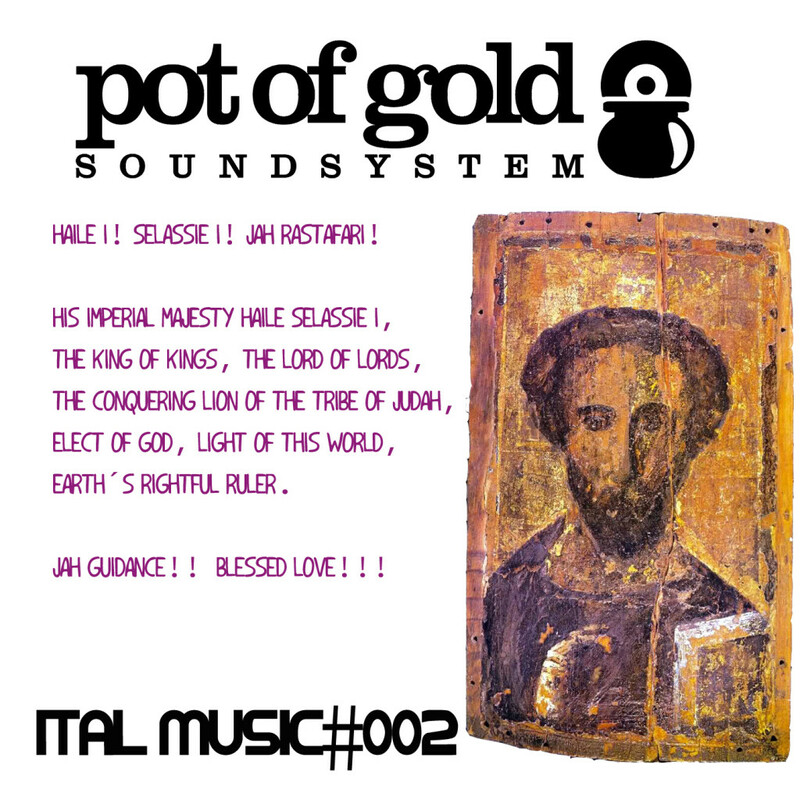 Fourth round of “Ital Music”. 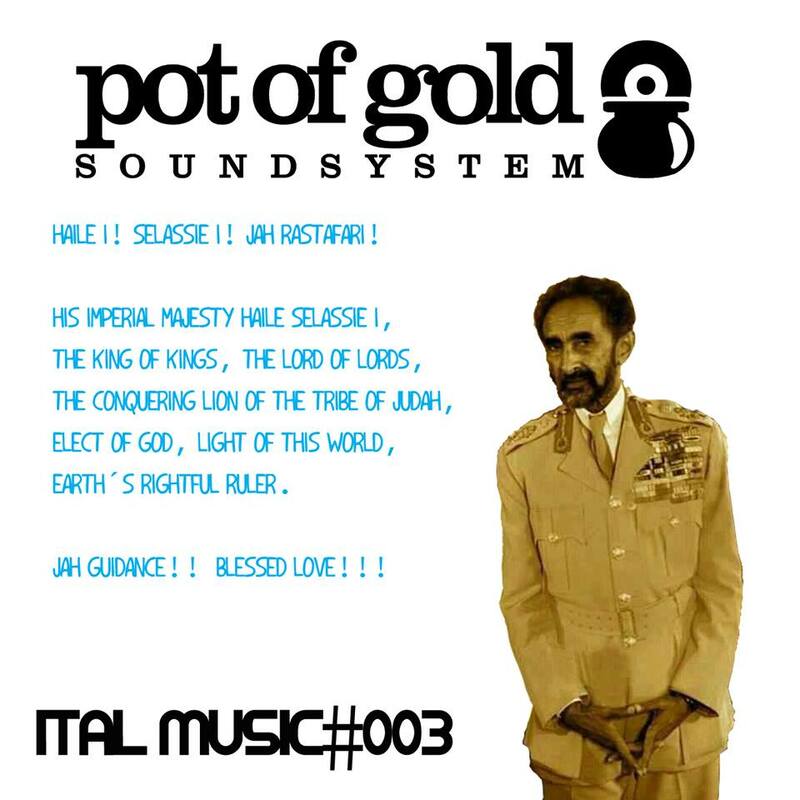 More than 1 hour of music to give glory to Jah!!!! 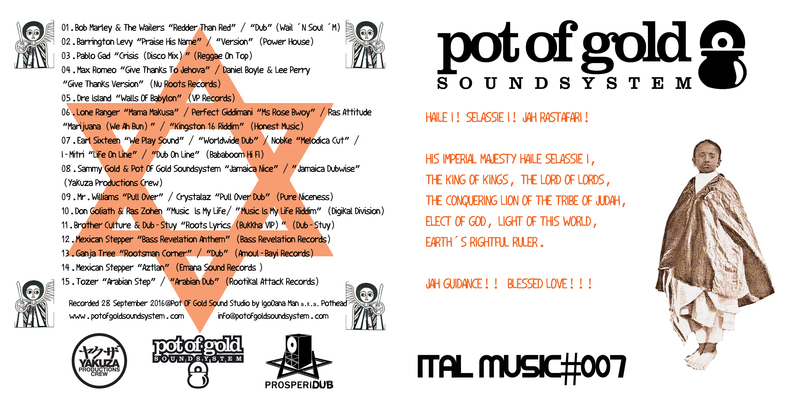 As usual 15 productions selected!!! 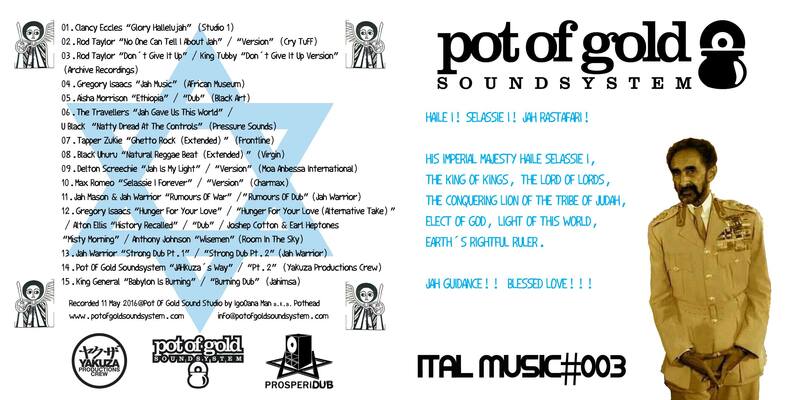 100% Jah music!!! 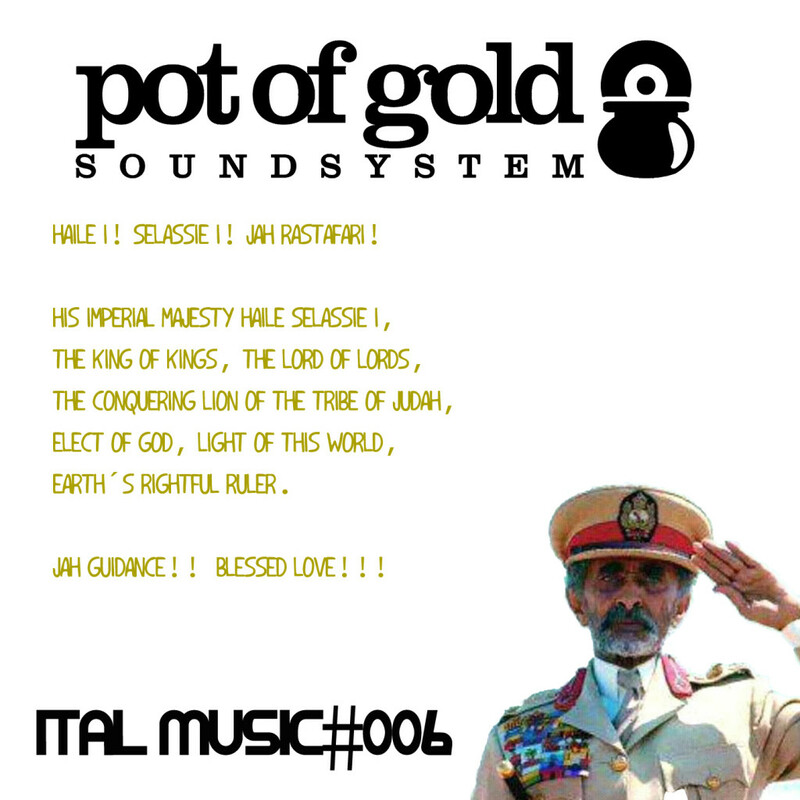 from Roots To Stepper. 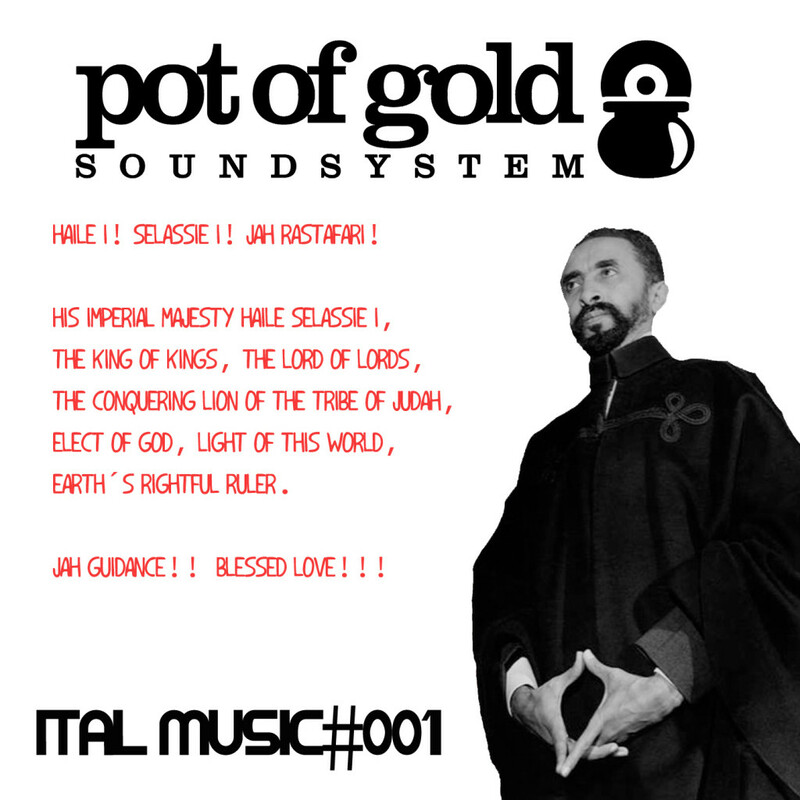 Second release of “ital Music”. 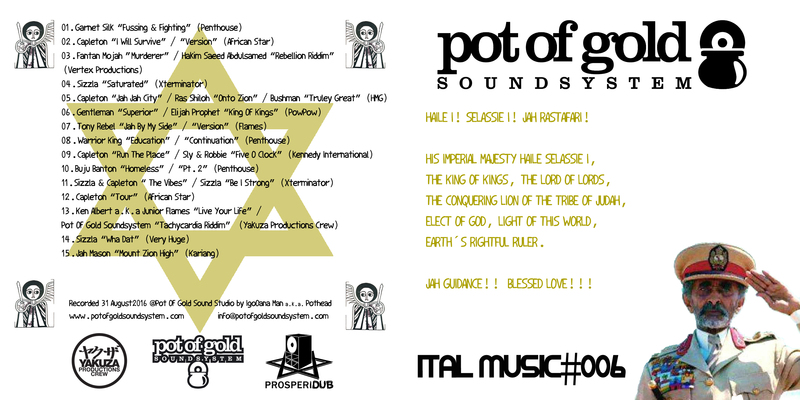 More than 1 hour of music for the soul, good vibrations, bigxunes, new releases… 100% Jah music!!! From Mento To Stepper again! Segunda entrega de “Ital Music”. 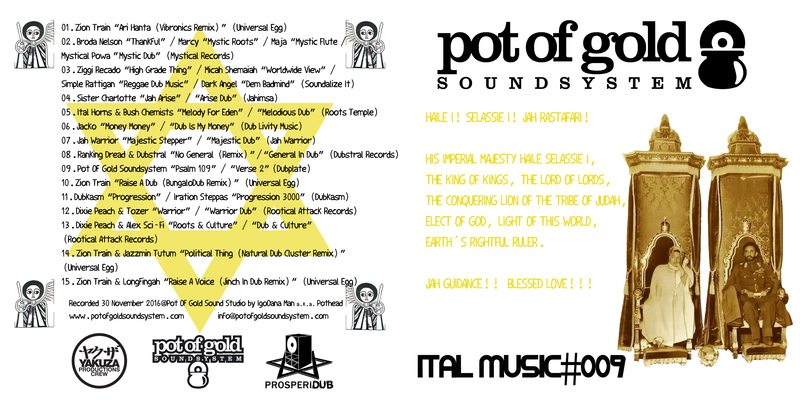 Más de 1 hora de música para el alma, buenas vibraziones, grandes temas, nuevos lanzamientos… 100% Jah music!!! From mento To Stepper otra vez!! 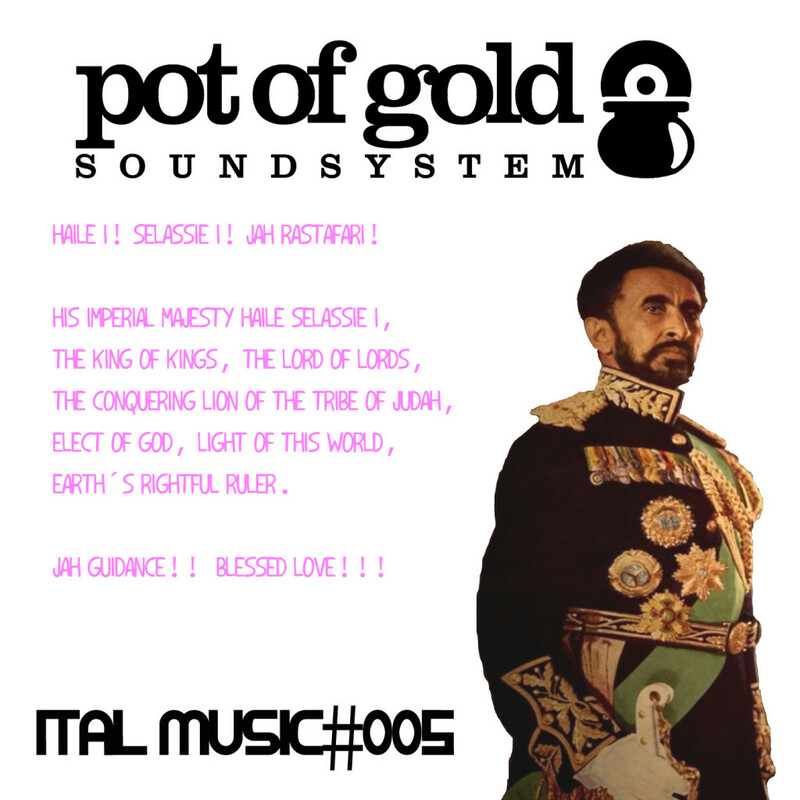 Más de 1 hora de música para el alma, buenas vibraziones, grandes temas, nuevos lanzamientos… 100% Rasta music!!! From mento To Stepper!! 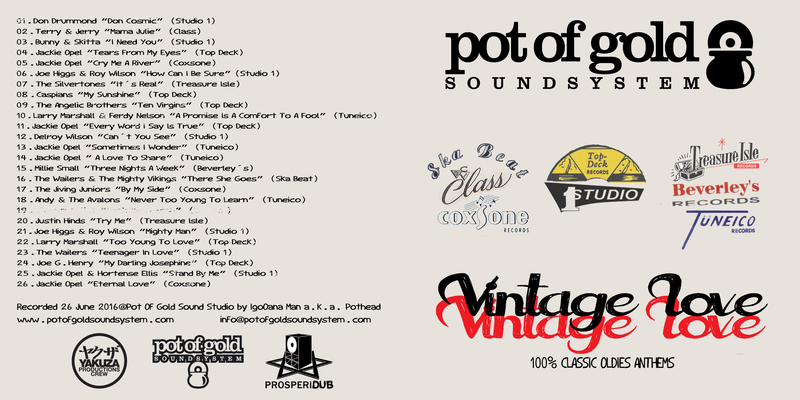 Alls donations will be used for make our Radio Show, Mixtapes and bring you good music!!!!!! !